Humans crave kinship with greatness. It validates us; it anoints us with purpose. It creates community; it bestows us with a sense of belonging. So, I grasp for a personal kinship with Michael Jackson (the beer writer), albeit a small perch, but to me, almost somatic. Mr. Jackson's parents emigrated from Lithuania to the United Kingdom; my four grandparents did so as well, if to the United States. Five years ago today, Mr. Jackson succumbed, after a decade-long struggle, to complications related to Parkinsons Disease, as had my own father, a few years before him. But, of course, there's the beer, the glorious beer: our (if I might be so bold) similar love of its flavors, production, people, history, and evolving creation. Michael Jackson wrote about beer, and he was a great writer. He used words as only skilled brewers know how to use hops: for beauty, for telling a story. He was a newsman: he brought Edward R. Murrow's 'you are there' to beer, wherever in the world he could find it. He traveled often. He became known as the "Beer Hunter". 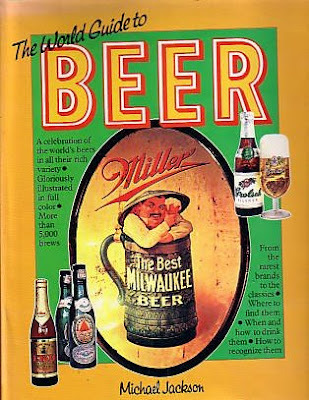 Mr. Jackson was a historian: he noted the birth of 'craft' beer as it was happening, and chronicled it. I think that Michael Jackson did more for the brewing industry than anyone since Louis Pasteur. Five years have passed since the great man left us. And, there are many who are unfamiliar with Jackson or his work, and that includes many new, young beer drinkers. Thus, it is fortuitous that there is a new tribute to Michael Jackson in the works. It's called Beer Hunter: The Movie. J.R. Richards is an independent filmmaker. Beer Hunter: The Movie is his labor of love. He's raised a great portion of the funds for the film from beer folk, who donated via Kickstarter. From that site, here's his latest update. 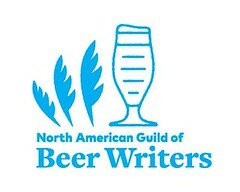 The past few months we've gathered interviews with Sam Calagione, Charlie Papazian, Greg Koch, Tomme Arthur, Gina Marsaglia, the New Zealand beer writer Geoff Griggs, Garrett Oliver, Nancy Johnson and Julia Herz from the Brewers Association, and Randy Clemens from Stone Brewing. The past two months we have been editing through all these interviews and b-roll, and adding them into our footage where appropriate to the U.S.
We've also tracked down some more recent footage of Michael visiting breweries in tell Michael's story. By the end of the summer we'll be finished with the main edit of the interviews and existing footage of Michael, and the next step will be gathering a few final, crucial interviews regarding Michael's early history and his role in the world of whiskey, and also licensing and incorporating all our archival materials. Though this will extend the release of the film, we feel that it's essential in telling Michael's story and creating a lasting tribute to his life and work. We've tracked down some rare archival footage which we'll be tackling in the next couple of months. Charles Finkel was one of the first importers to bring great beers from around the world to the U.S., and he was also one of the first, if not the first, person to bring Michael here as well to conduct tastings. He has an old film that he shot with Michael from some years back, which he is kindly letting us use. We'll be heading up there soon to go through the footage and get an interview with Charles and his wife Rose Ann, as they were some of Michael's oldest friends here inBelgium, which we are negotiating a license for. This is even more recent than the footage I have of Michael in Belgium, so we are excited to be able to use some of it, and include extended scenes on the DVD. And finally, after two years of inquiries, we've tracked down the license holder of the original Beer Hunter series. The footage, as expected, will be quite expensive to incorporate, but we are working out a reasonable fee, seeking additional sponsors to help out, and at the very least will have a few minutes of this priceless footage to feature in the movie. At best, we are working on licensing and remastering the entire series to DVD or Blu-Ray, an effort which is long overdue. While we had hoped to have everything done in time for a fall release, in all reality this is going to be difficult if we want to incorporate these final elements. A winter release is more feasible, but we are also considering a global premier on the anniversary of Michael's birthday, March 27th of 2013. I know it's a long ways off, but it would give us plenty of time to line up screenings, finish everything off properly, add subtitles to international versions, complete the full DVD with all extended scenes, and give us time for marketing, distribution and PR. This date is not set in stone, but I wanted to let you all know it's a date we are considering. We'll update on our progress as it evolves, and thanks again for your patience and support. Donate for post-production needs, via PayPal: here. My first MALT WHISKY was a 12-year-old, and single. I was 18. We were introduced by a mutual friend in an otherwise undistinguished pub in Edinburgh. Until reaching that height of maturity, i had believed whisky to be something that I did not like. I cannot imagine how I ever held that view. That first kiss of Glen Grant was enough to initiate a lifetime's devotion and exploration. A simple moment made evocative. A sip made great. Words made refreshing. I was fortunate enough to have met Michael Jackson on several occasions. I talked with him, but I don't think I ever thanked him. Mr. Richards said that we'll be raising our glasses together this Thursday in remembrance. Yes. Have a beer tonight, or a wee dram. Have it in a good pub with good folk, or at home in good company with any of his writings. Toast Michael Jackson. The kinship this project has created by bringing together so many friends and fans of Michael has been truly amazing. There is always a need for further donations [emphasis mine], however, I'm hoping that we can get some industry sponsors on board as well to help license some of the original Beer Hunter footage and help out with final post production needs. 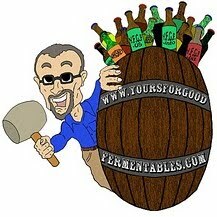 I've made a playlist on our YouTube page with all sorts of Beer Hunter videos. Carolyn Smagalski, aka The Beer Fox, has written a moving tribute at Philly Beer Scene: The Unique Michael Jackson. I've written on several occasions about Mr. Jackson. Here are a few of those. Proceeds from the film and fund raising efforts will go towards Parkinson's research, and the producers hope to establish a non-profit foundation dedicated to preserving Michael's legacy through annual events on March 27th, to coincide with Michael's birth date.